These were all taken right after I got out of service in the Navy about 1963-4. 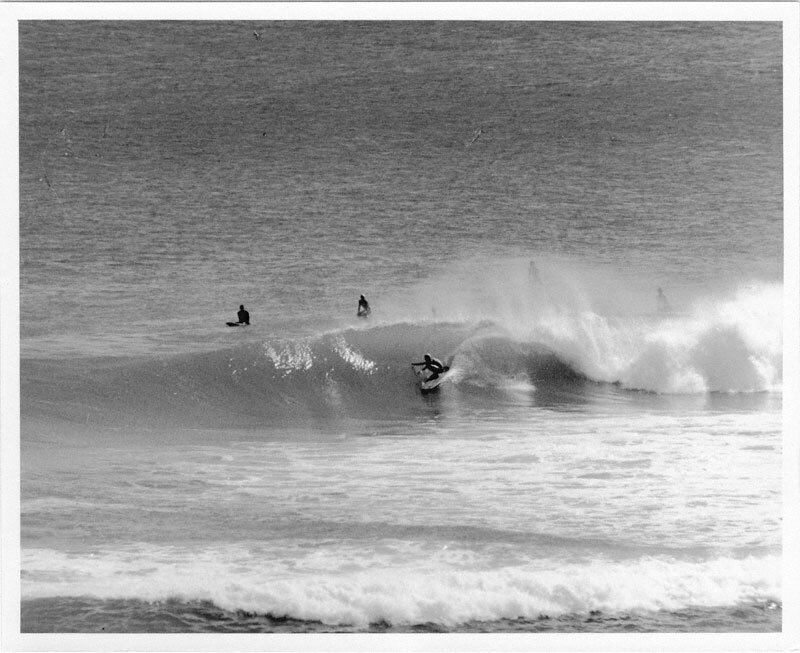 The four of board surfing were taken at the Diamond Head spot called "Tong's". I shot them from the rooftop of a five story Condo Building using a 500 mm Telephoto on 35 mm film. 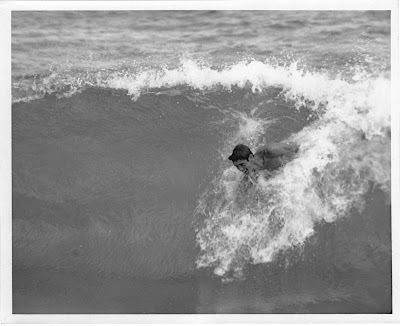 The two body surfing picts are of my friend Neil McHenry taken at Sandy Beach on Oahu. It is a really close shore break and I was sitting on the beach about twenty feet away. I was born in 1942 shortly after the attack on Pearl Harbor. My parents were from Los Angeles California and moved to Oahu as a young couple in 1938. They settled in Manoa Valley and started an Orchid Growing Business. By the end WWII, I had a younger Sister and our Mom joined the YWCA Beach Club in Waikiki on property next to Ft. DeRussy, which is now the Reef Hotel. It was a part of Waikiki Beach locally known as “Grey’s Beach” after the family who owned the property before the war. This is where I learned to swim with my Sister. We went down to the beach two to four times a week and I remember from the earliest days watching the surfers and marveling at how wonderful and graceful they looked. Most of the surfboards in those days were heavy wooden or hollow-core plywood boards over ten feet long. The surfers rode mostly strait in on the gentle Waikiki waves. When I was nine years old, my Dad had a business friend from California who visited the Islands every year. He invited me to come down to his Hotel and go surfing. I was delighted !! He arranged a surfing lesson for me with famed Beach Boy Rabbit Kakei. I had a two-hour lesson with Rabbit at the Canoe surf spot out from the old Outrigger Canoe Club. I don’t recall if Rabbit worked for the Canoe Club or at my Dad’s friend’s hotel, but those two hours were a changing point in my life. I was Hooked !!! I begged my Dad to get me a surfboard for weeks and he finally gave in. We found a small eight-foot balsa board for sale at the beach club and bought it. It was too heavy for me to carry under my arm. I had to balance it on my head or shoulder to get it to the water. I rented a locker for it at the YWCA Beach Club where I could keep it and would ride the bus from my home in Manoa to go surfing. In those days parents would let a small kid do that. I would leave home at eight AM, catch the bus to Waikiki, surf all day and get the bus back home before dark. This was Hawaii before Statehood and it was safe to do so. My board was too heavy for me to carry far but I could take it to Gray’s Beach from the Club and then paddle towards Diamond Head to the surf spots, Canoe and Queen’s. 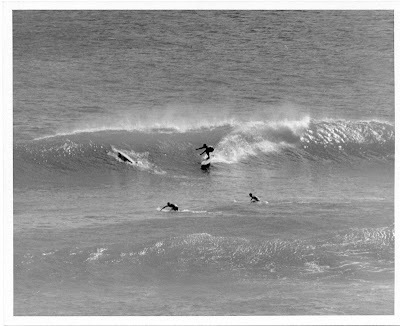 I spent two or three years surfing they’re, learning by trial and error and watching others. I was at the beach most weekends and spent some delightful six to eight hour days in the water. By this time I was a most proficient swimmer and had no fear of the water or waves. I loved it and was in my element! By the time I was fourteen I had outgrown my old balsa board. 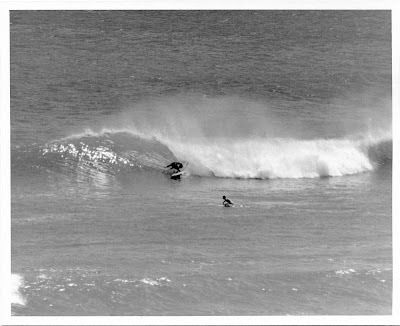 It was sluggish and all the hot surfers were using foam board that could turn much quicker and were more maneuverable. I worked for my Dad in the orchid nursery all summer and was able to purchase a brand new foam board, an eight-foot Conn. I must state that I am a little guy, only five-six. Most of the boards at that time were larger, long boards, but at my size eight feet was right for me. There were still lots of “old timers” out there on the old hollow boards but the new “HOT” surfers impressed me and I wanted to be one!! After a year at Waikiki with my new board I was ready to branch out to new ground. I still did not have a driver’s license or car but I found a friend who did and we started going to Diamond Head surf spots. Our favorite was a place called Tong’s after the family who lived there. We also went to the break off Kewalo Basin, Honolulu’s commercial fishing harbor and a place on the other side of the channel called “Garbage Hole” because it was right off the garbage dumpsite. Both were over shallow reefs and were fast breaks. A year later I got my driver’s license and acquired a 1942 Ford Jeep that my Dad had purchased surplus after the war> Now I had wheels and could go where I wanted! Thru a friend, I discovered Ala Moana. It is a left break outside of the Harbor near the Ala Moana Shopping Center. It is very challenging on good days and the waves can reach twelve feet. It was here that I met the one person who most influenced my surfing, Donald Takiyama. Donald was a regular there, younger than I but a much better surfer. We are both “goofy foot” surfers (right foot forward) and I was hugely impressed by his skill. I surfed with him a lot and watched and tried to copy his style and movements. I got better as the time went on, just by copying and practicing. He taught me to move up and down the board, using balance, walking the nose, sliding back to make quick turns, etc. It took time, most enjoyable time I must add, but I got pretty good. Never as good as Donald, but good enough. By this time I was getting ready to graduate from High School. I had discovered the North Shore of Oahu and had surfed at Haleiwa, Sunset Beach, Makaha and Velseyland but my “home” was Ala Moana. I had joined the Navy Reserve in High School and after graduation went into active duty from 1960 to 1963. I served on a Fleet Oilier in the Western Pacific. Upon my return to Honolulu, I joined my Dad in his orchid business and worked there for many years. I got back into surfing, mostly at Ala Moana and in the Diamond Head area with occasional trips to the North Shore. 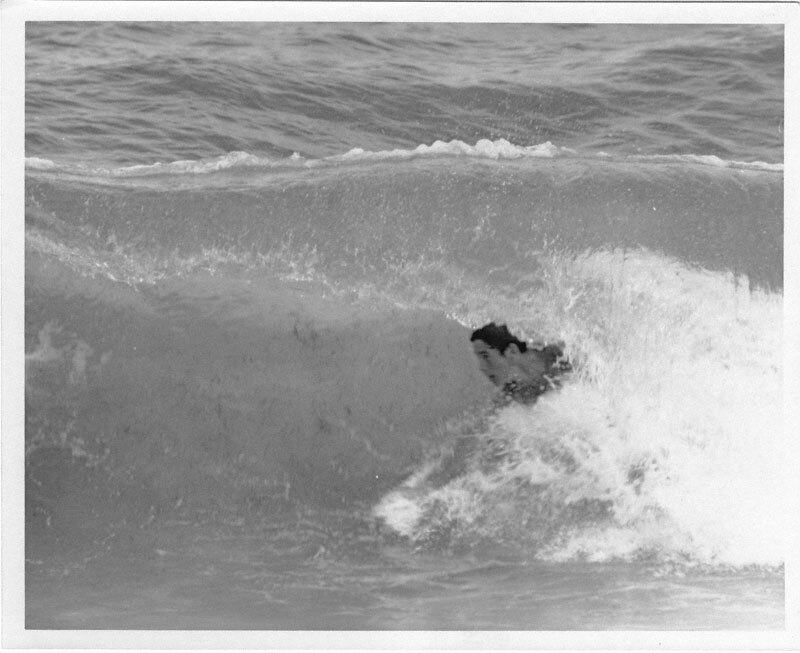 I surfed until 1976 when I moved to California to work in Hollywood. Tried it a few times in Redondo Beach but did not take to the cold water. I still have one of my old boards, a Richard Brewer Surfboards Hawaii which I use as a picnic table. My parents are gone now and I have no ties left to Hawaii save a few old friends. I now live in Lake County California on the shores of Clear Lake. 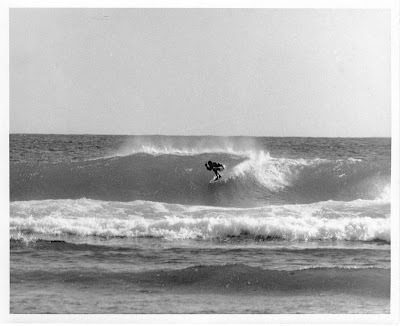 My surfing days are just memories, but very good ones. Hawaii is a top surfing geography. Surfing is a cultural identity in Hawaii. I had tried surfing and I loved it.